Beautiful, dreamy capture, excellent b&w tones and interesting upward angle. A great photo with lots of dynamics generated by the mountain. like a fairy. i like the color and the light. I like this upward angle and the depth of field. Nicely captured Martina! 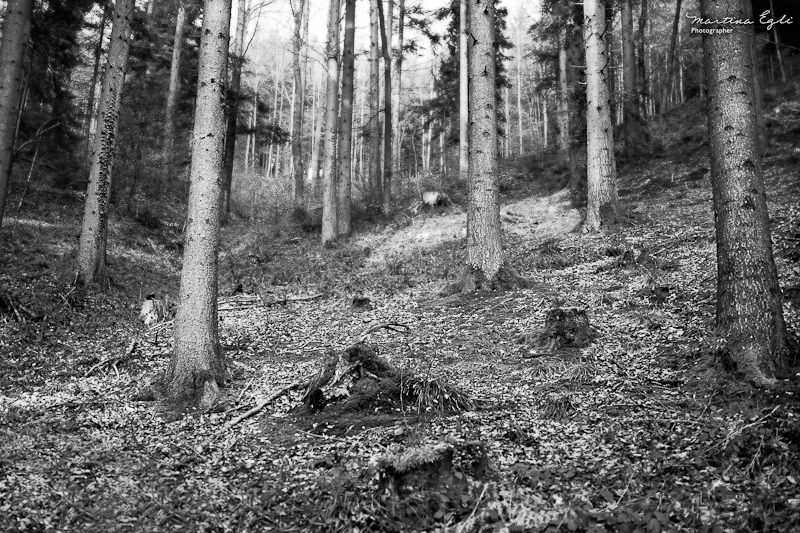 Wonderful photograph of this dark forest with receding tree trunks, giving it such captivating depth. I really love how it’s just the earth at the bottom and as you gradually look up, the trees progressively get thicker. Great shot. I want to take a deep breath of air. The lighter tones toward the center certainly draw you in and give this image a lot of depth. Very nice.